The lure and fame of soccer often makes many players forget where they came from, but that is not the case with French legend Lilian Thuram. Not only has Thuram played a monumental role in Soccer history but French history as well. Here was a boy born in the French Caribbean island of Guadeloupe, a proud Parisian who changed the world with his athleticism and words. He fulfilled his dream of making it big yet never forgot where he came from. As a player Thuram was quick, versatile and powerful and was marvelous both on offence and defense both. Despite his physicality and aggressive playing style – Thuram’s physique would literally scare his opponents off – off pitch Thuram had a reputation for being quite the intellectual gentleman. Thuram belongs to that elite group of players who have won the World Cup and played for one of the game’s greatest club sides. In 2010 Thuram was appointed the UNICEF ambassador and has been very vocal about racism in France. He has openly and formidably criticized French politics on their anti-immigrant and racist policies. Born as Rudy Lilian Thuram-Ulien in January of 1972 in Point-a-Pitre, Guadeloupe. This time French Island not only gave birth to Thuram but to another great soccer legend, Thierry Henry. Raised by a single mother, who had to make a tough decision to move to a tiny place in the out skirts of Paris called Fontainebleau France for better opportunities for her family. 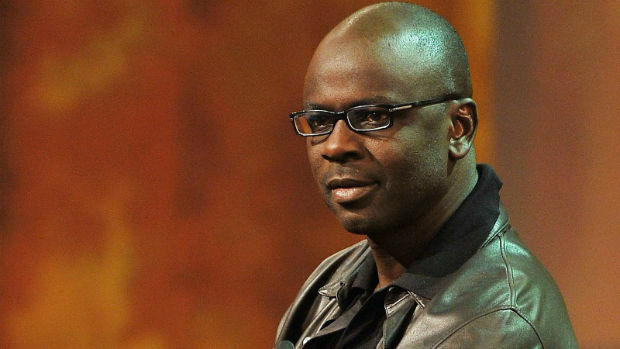 As a migrant living in the roughest areas of France Thuram never forgot his origins and is well connected to the migrant community in Paris. In search of jobs his mother would often leave him behind – which Thuram often mentioned was the toughest decision of her life – with relatives. Thuram grew up playing soccer with other migrant Portuguese, Pakistani and Arab friends. Thuram’s journey has taken him from the tiny village to becoming France’s most capped player – he has 126 caps. By 1991 Paris was swapped for Monaco where he started playing professionally. Soon his defensive displays, marvelous athleticism and ability to read the game very well started grabbing attention. Side by side France was going through its worse performance in soccer history even going as far as not qualifying for the world cup. Thuram eventually joined Parma and simultaneously was included in France’s world cup squad with another then unknown player called Zinedine Zidane. Little did the world know that these two players would go on to become living soccer legends. Thuram remains France’s most capped player with 142 appearances in between 1994-2008. With his formidable physique and defensive mechanism his opponents always knew that it was best to not get marked by Thuram. Thuram won the 1998 World Cup and Euro 2000 for France. Under his wing France was also the runner up team for the 2006 FIFA World Cup. The French government made Thuram a member of the Legion d’Honneur – the highest civilian honour – in recognition of his sporting success.